A natural gas discovery has been made off the coast of Egypt in the Mediterranean that could in time provide a substantial amount of feedstock for the domestic power market. Italy’s ENI announced that drilling on its Zohr prospect resulted in a “world class supergiant” natural gas discovery. The well, the Zohr 1X new field wildcat, is located in the Shorouk Block in the deepwater of the Mediterranean. The well was drilled in 4,757 ft water depth to 13,553 ft total depth. The well encountered a hydrocarbon column at 2,067 ft in a carbonate sequence of Miocene age with excellent reservoir characteristics, with what ENI said contained over 400 meters of net pay. The structure also has a deeper Cretaceous upside that will be targeted in the future with an appraisal well. ENI said that according to the well and seismic data available, the discovery could hold a potential of 30 Tcf of lean gas in place (5.5 billion boe in place) covering an area of about 100 sq km. The statement added that the Zohr is the largest gas discovery ever made in Egypt and in the Mediterranean Sea, and could become one of the world’s largest natural-gas finds. The company will immediately appraise the field with the aim of accelerating a fast track development of the discovery that will best utilize existing offshore and onshore infrastructures. Venezuela is seeking an emergency OPEC meeting to figure out how the cartel can stem the collapse in oil prices, The Wall Street Journal is reporting. Venezuela, for its part, has not been handling the collapse in oil prices well: It is teetering on the edge of hyperinflation, with at least one economist calculating the nation's inflation rate at more than 770%. Venezuela's last official inflation print showed prices rose 68% year-over-year in December 2014. An emergency meeting of OPEC members, with or without Russia, is unlikely unless called by Saudi Arabia. The next OPEC meeting is scheduled for December 4th. 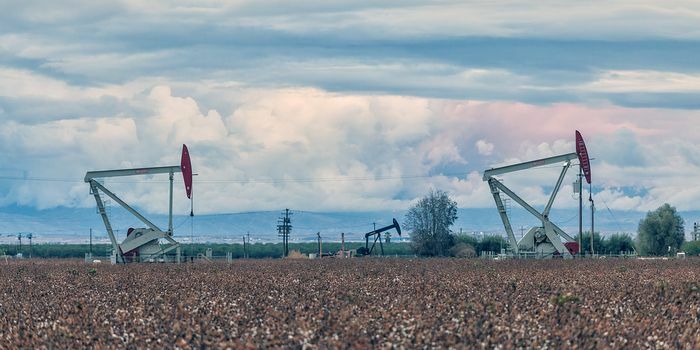 Earlier this month, we noted that analysts at Credit Suisse have argued Saudi Arabia is working to get oil prices low enough that marginal US shale producers halt investment and production. Credit Suisse said that it is, "very hard to know what price Saudi Arabia is targeting, but its behaviour is suggesting to us that this point has not yet been reached." 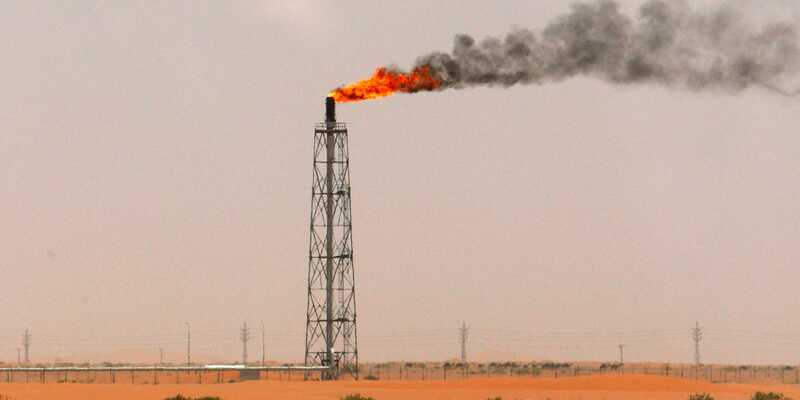 Ali Jarekji/ReutersThe Khurais oilfield, about 160 km (99 miles) from Riyadh. Writing in The Telegraph earlier this month, Ambrose Evans-Pritchard cited work from analysts at Bank of America Merrill Lynch who said that OPEC is "effectively dissolved." The complication, of course, is that it's unclear what the status of OPEC is given that it only meets twice a year. What we do know is that this year Saudi Arabia has been producing oil at a record rate to defend its market share and bring in as much revenue as possible. Of course, the Saudi's aren't alone in this strategy, with Iraq also hitting record production numbers in June. As a group, OPEC has also been over its production target of 30 million barrels per day at times this year. Most OPEC members, however, can't balance their budgets with oil prices at current levels. And so the cartel faces a Catch-22: It needs to produce oil to bring in whatever money it can but is also damaging itself by continuing to flood an already oversupplied market. Against last year, the price of Brent crude oil, the international benchmark, is down about 60% from around $117 a barrel to closer to $47 on Thursday. Prices on Thursday alone, however, rose as much as 10%; earlier this week Brent crude was below $43 a barrel, the lowest since the financial crisis. Oil traders are asking about options to store crude at sea, a development that could help rates for tankers to rebound from a plunge, according to Frontline Ltd., an owner of the ships led by Norway-born billionaire John Fredriksen. Crude collapsed over the past year as OPEC nations pumped ever more oil into a glutted market, insisting non-member producers help tackle the surplus. The slide has created a price structure called contango, where future oil costs are higher than near-term ones. When that gap gets big enough, traders can lock in sale prices that exceed the cost of storing on ships. There has also been a growing trend for “forced storage” this year, whereby companies are asking Frontline’s ships to wait for as many as 20 days while buyers are identified for cargoes, Hvide Macleod said. This is happening in the Middle East and Singapore, he said. Daily rates to hire very large crude carriers on the benchmark Middle East to East Asia route rose 0.5 percent $24,718 a day on Wednesday, according to Baltic Exchange data. That’s still is down 74 percent from the peak in July this year. Rates will average $54,112 this year, according to a Bloomberg survey of shipping analysts. Frontline is a Bermuda-based tanker company which operates ships that transport crude and refined petroleum products. The contango in Brent crude oil futures is around $2.40 a barrel between October and January, according to ICE Futures Europe data. Storage would cost more than $3 a barrel over a three-month period, according to data from E.A. Gibson Shipbrokers, provided on Tuesday. Nigeria's state oil company has cancelled its contract for the delivery of crude to the country's refineries in Warri, Port Harcourt and Kaduna, it said on Wednesday. Oil sales account for about 70 percent of government revenue in Nigeria, Africa's top crude producer, but the country imports most of the fuel used by its 170 million inhabitants because of its inefficient, ageing refineries. "The corporation has cancelled the current contract due to exorbitant cost and inappropriate process of engagement," a Nigerian National Petroleum Corp (NNPC) statement said, adding that the aim is to cut costs and improve efficiency. Overhauling the energy sector in Africa's biggest economy has been a priority of President Muhammadu Buhari, who was inaugurated on May 29 after being elected largely on his pledge to fight corruption. NNPC also announced the termination of the offshore processing agreements made in January with Duke Oil Company, Aiteo Energy Resources and Sahara Energy Resources, saying that it believed the agreements were skewed in favour of the companies. The statement added that a number of mostly local companies have been approached to bid for new OPA deals, including Oando, Sahara Energy, Calson, MRS, Duke Oil, BP/Nigermed and Total Trading. NNPC's moves come a day after President Buhari approved cancellation of crude oil swap deals for refined products between NNPC and oil traders. Crude oil prices snapped an eight-day losing streak, pausing to consolidate above the $42/barrel figure having broken below January’s lows. The Brent contract is now hovering at the lowest levels since March 2012. The extent to which the slowdown may precede a rebound is unclear however absent the formation of a defined reversal signal. In the interim, the dominant directional bias remains bearish. Near-termsupport is at 42.36, the 76.4% Fibonacci expansion, with a break below that on a daily closing basis exposing the 100% level at 39.67. Alternatively, a reversal above the 61.8% Fib at 44.03 opens the door for a challenge of the 45.17-38 area, marked by support-turned-resistance at the January 13 low and the 50% expansion. 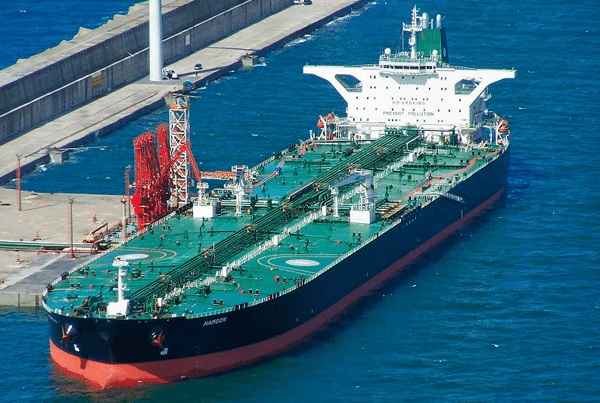 In what seems to be a rather established downward trend, VLCC rates continued to slide this week as a pause between the conclusion of the August and start of the September programs in the Middle East market saw overall chartering activity levels decline, said shipbroker Charles R. Weber. According to the shipbroker, “the Middle East market yielded just 19 fixtures, representing a 32% w/w loss. Elsewhere, the West Africa market was more active; seven fixtures materialized there, marking a 133% w/w gain and the loftiest tally in more than a month. The August Middle East program concluded slightly ahead of our previous estimate after a number of late fixtures were reported; the month has now yielded 114 cargoes, six more than the tally as of a week ago. Together with four of this week’s West Africa fixtures having been concluded on ballast units from the Far East which would have been available for August loading in the Middle East, the number of surplus September Middle East units has trimmed significantly from 27 to 17 (albeit still the largest surplus since September 2014)”. Charles R. Weber noted that “despite this, sentiment remained sour on the generally slow pace in the Middle East market and a wider supply/demand imbalance in the Middle East at the start of the September program than has been observed since October 2014. The emergence of the Basrah schedule added additional pessimism to near-term sentiment. Despite showing a 290,000 b/d supply increase, much of the increase is comprised of Suezmax-sized stems and only one additional VLCC-sized stem compared with August. Moreover, just one VLCC stem is noted for loading during the first decade of September, implying a delaying of absorption of the August surplus units”. The shipbroker added that “simultaneously, uncertainty surrounds the Saudi program and though a record production rate during June was reported this week, the short August program does imply some pullback. Assuming that the short August Middle East program was merely a blip in-line with a similar temporary pullback observed during September 2014 (when oil prices commenced their surplus supply-driven tumble), there are reasons to believe that by the end of the September Middle East program supply/demand fundamentals will be more closely aligned to support a directional rebound through Q4. Contributing further to this expectation is this week’s news that Angola will boost its crude exports during October to a four-year high with Asia the likely destination of the increase”. CR Weber also mentioned that “as West Africa cargoes are worked in advance of those in the Middle East, any corresponding increase in VLCC demand in the region – and a corresponding draw on Middle East positions – to service October cargoes should occur around the time that Middle East charterers move into the second-decade of the September program there. The coinciding of stronger demand in both markets at that time will likely lead to a reversal of sentiment and support fresh rate gains. In the interim, however, rates appear likely to remain modestly soft. Middle East Rates to the Far East fell 9.3 points w/w to an average of ws33.3 while the closing assessment stands at ws30. Corresponding TCEs were off by 30% to an average of ~$27,863/day while the present assessment yields ~$23,736/day – a fresh YTD low. Rates to the USG via the Cape were assessed at an average of ws23.1, off by 1.8 points from last week’s assessed average. Triangulated Westbound trade earnings fell 4% w/w to an average of ~$58,478/day. Atlantic Basin Rates on the WAFR-FEAST routes shed 6.9 points w/w to conclude at an average of ws45.1. Corresponding TCEs were off by 17% to an average of ~$41,468/day. IN the Caribbean market, rates were softer on the back of generally sour sentiment in the wider VLCC market. Regional supply/demand fundamentals remain unchanged; however, units freeing in the Red Sea are now looking at ex?Caribbean business, which boosts the effective supply. The CBS-SPORE route fell by $100k to a closing assessment of $5.9m and remains under modest negative pressure”, CR Weber concluded. Meanwhile, in the Suezmax market, “chartering demand in the West Africa Suezmax market trimmed modestly with 21 fresh fixtures representing a 4.5% w/w reduction. A low Brent premium to Dubai benchmarks has helped to support Asian demand, though corresponding support for VLCC demand in the region from Asian buyers during the September program has been largely kept in check due to high crude and product inventories and more extensive seasonal maintenance. As a result, the spread between West Africa cargoes between VLCCs and Suezmaxes during the September program has thus far been largely unchanged from August (thus far). While this has implied stronger Suezmax demand and weaker VLCC demand (as compared with the first seven months of 2015), Suezmax rates have remained weak. The WAFR-USAC and WAFR? UKC routes shed 5 points and 2.5 points, respectively, to ws65 and ws67.5. A seasonal pullback in Aframax demand has reduced rates for both Aframaxes and Suezmaxes in turn (given the larger class’ ability to compete when Aframax markets are tight). Late purchases of September West Africa cargoes could offer support to Suezmaxes depending on the extent thereof; otherwise rates appear likely to be around a near-term floor”, CR Weber concluded. Finally, “the Caribbean Aframax market remained soft this week on the back of continued subdued activity with the weekly fixture tally easing 17% w/w to a total of 10. Rates remained soft throughout the week with the CBS-USG route ultimately losing 2.5 points to conclude at an assessed ws80. A late week fixture at ws90 was reported, though this fixture required high heating and had max-DWT restrictions; as such this fixture is not entirely reflective of market fundamentals. Owners will likely try to capitalize on the high last-done rate at the start of the upcoming week though these attempts will be complicated by the ongoing availability of prompt tonnage. As such, failing an early-week demand surge, rates appear set to remain soft”, CR Weber concluded. India is now Nigeria’s number one crude buyer, an importation that grosses $15 billion yearly. But under Diezani Alison-Madueke, commission agents creamed away some of the billions, when Nigeria’s treasury ought to have enjoyed the full benefit. Nigeria is the only oil producing nation selling its oil this way. Other nations make the sale, country-country. Far from going out of business, American oil companies have stunned their global rivals by maintaining or even adding production as U.S. prices nose-dived from $100 a barrel to $70 late last year to, as of Thursday, just above $40. Even more surprisingly, the Saudis have actually increased their production in the face of falling prices, in what analysts say is a pre-emptive effort to keep competitors like Iraq from stealing customers in Asia. The result is the energy-industry version of trench warfare, with producers all trying to gain an inch of market share no matter the cost. And it is producing winners and losers around the world, luring American drivers into gas-guzzling pickup trucks while sending the Venezuelan economy into chaos. While it might make sense for producing countries or companies to cut back and erase the glut, there is no political will or business rationale to do so, analysts say, as all participants need to keep cash coming in. Crude-oil markets were mixed on Thursday, as the price of a barrel in the U.S. inched up to $40.94, while the price of a barrel in Europe fell to $46.19. The price of gasoline in the U.S. fell slightly to $2.65 a gallon, from $3.44 a year ago according to AAA, and there were stations in 12 states selling gasoline for less than $2. Until last summer, global oil prices had been relatively stable, shedding their historical volatility to trade slightly above $100 a barrel for a few years. But behind the scenes, the U.S. oil boom was unsettling things. Using horizontal drilling and hydraulic fracturing, drillers found and pumped millions of new barrels of oil. Between 2008 and 2015, American oil production rose by 75%, topping nine million barrels a day late last year. Meanwhile, global demand for oil appeared to soften, and prices began to weaken, too. Saudi Arabia faced a choice. It could cut production to prop up global prices, which would allow Iraq and others to snap up market share in Asia. Or it could maintain its output, even if that meant oversupplying global markets and pushing down prices even more. In a dramatic meeting of the Organization of the Petroleum Exporting Countries in November, the Saudis chose to stay the course and let prices fall. But recently, the country has done something even more unexpected: it has opened up its wells. Last fall, at the time of the meeting, the Saudis were producing 9.6 million barrels a day. Last month, it was 10.4 million barrels. OPEC, which no longer dictates production quotas for its members, has a 30-million barrel a day output target that it routinely exceeds. At the same time, another OPEC member, Iraq, also ramped up production. Losing ground to ISIS fighters in the north of the country didn’t have a meaningful impact on its crude-exporting facilities in the south. Output rose from 3.4 million barrels a day in November to 4.1 million barrels last month. Despite predictions, U.S. shale producers didn’t panic—and neither did their bankers. Instead, they focused on lowering the cost of producing oil. Service companies cut their prices to keep their crews working. The pace of U.S. oil growth slowed but only showed signs of flattening in May. U.S. output may now be starting to fall, but many companies are still increasing production. Some are cagily refusing to disclose their drilling plans, perhaps hoping that others cut back first. From Moscow to Mexico City, governments are struggling with declining oil revenue. Venezuela is suffering from triple-digit inflation and an economy that the International Monetary Fund sees contracting 7% this year. “We’re battling an economic war against the fall in oil prices,” President Nicolás Maduro said in a televised address Saturday. Earlier this month, the leftist leader said he was campaigning for an emergency meeting between OPEC and Russia to rescue oil prices. Oil producers such as Egypt, Angola, Gabon and Indonesia have cut domestic fuel subsidies as crude-oil export revenue has tanked. In corporate boardrooms, falling oil prices have led companies to reconsider some of the complex, expensive oil projects that looked feasible in an era of $100 crude. They have suspended work on $52.9 billion worth of deep-water projects that could tap 2.8 billion barrels of oil, according to an analysis by Rystad Energy in Oslo. They also pushed back $47 billion in oil-sands projects holding 8.2 billion barrels. The International Energy Agency, a global watchdog formed by advanced economies, recently said it expected global demand for oil to grow “stronger than anticipated” next year. But as the IEA forecast was released, China’s central bank devalued its currency amid growing apprehension that the giant Asian economy was slowing. Its increasing thirst for crude helped drive up global demand and prices for the past few years. Another wild card is Iran. If sanctions are lifted under a nuclear agreement, Iran is expected to increase its oil exports. This could add even more supply to a world struggling to absorb current production. —Summer Said, Drew Hinshaw and Kejal Vyas contributed to this article. Crude-oil futures dropped Thursday after a surprise buildup in U.S. oil stockpiles and persistent oversupply concerns. The U.S. oil benchmark moved closer to the $40 a barrel mark, after settling at a fresh six-year low in the previous session, and analysts say a breach of this level could pressure oil prices further. Crude futures for delivery in September CLU5, -0.39% traded at $40.52 a barrel, down 28 cents or 0.7%. The September contract expires Thursday. Meanwhile, October Brent crude LCOV5, -1.31% dropped 34 cents, or 0.7%, to $46.82 a barrel. Nymex crude lost 4.3% in the last trading session, settling at the lowest in since March 02, 2009. Brent crude lost 3.4% in the last session and has been down for four of the past five sessions. U.S. oil prices in particular are under pressure after a surprise 2.6 million-barrel increase in U.S. commercial crude stocks last week on the back of higher imports on the Gulf Coast. Citi Futures also noted that latest figures from the Joint Organizations Data Initiative show Saudi Arabian oil exports rising by 430,000 barrels a day to 7.37 million barrels a day after oil production touched 10.564 million barrels a day in June, serving as a reminder of the global oil surplus. The market consensus is only beginning to grapple with the idea that prices might have to fall further to persuade oil producers to leave more oil in the ground for later, analyst Tim Evans at Citi Futures said. Investors also remain jittery over uncertainty about the Chinese equity market, fluctuations in the yuan, and the outlook for the country’s economic growth in general. “For the oil markets, the focus remains on China, which set off a wave of emerging-market currency weakness when it de-pegged the yuan from the U.S. dollar last week,” Société Générale said. It said markets will be tracking the eurozone, U.S., and Chinese flash PMI data on Friday very closely. Nymex reformulated gasoline blendstock for September RBU5, -2.54% — the benchmark gasoline contract — fell a penny, or 0.7%, to $1.55 a gallon. VLCC rates remained soft over the course of the past week on a continued demand lull in both the Middle East and West Africa markets, said shipbroker Charles R. Weber in its latest weekly report. The shipbroker said that “the August program in the Middle East looks likely to have now concluded with just 108 cargoes – the fewest since September ’14 and 20% fewer than during July. As a result, the number of monthly surplus units rose from four at the conclusion of the July program to 27 at the close of August”. CR Weber said that “the extent of the Middle East cargo program’s decline was well in excess of our earlier expectations and those of most market participants; while a fully accurate reasoning for the decline is not fully known, we note that the aforementioned September ’14 tally represented a similar m/m decline – and came even as key Middle East producers had progressed into their present strategy of defending market share by maintaining steady supply. As such, we do not believe that a shift in the oil policies of Middle East producers has occurred and the August tally will merely represent a blip. Lower crude demand could have factored into the lower supply – largely as Asian refiners prepare for seasonal maintenance, which will likely be more extensive than normal as they grapple with bloated product inventories and recent margins downside”. In terms of fundamentals, the shipbroker said that “we note that commercial managers have reacted to the present lull and corresponding rate erosion with a reduction of ballast speeds. Of units presently undertaking ballasts towards the Middle East, AIS data shows an average speed of 10.99 knots. This represents a departure from an earlier acceleration thereof, with ballast speeds having risen towards an average approaching 14 knots during 2Q15. While slowing ballast speeds will help to reduce excess tonnage when the market moves into the September program, the net impact will be relatively modest. 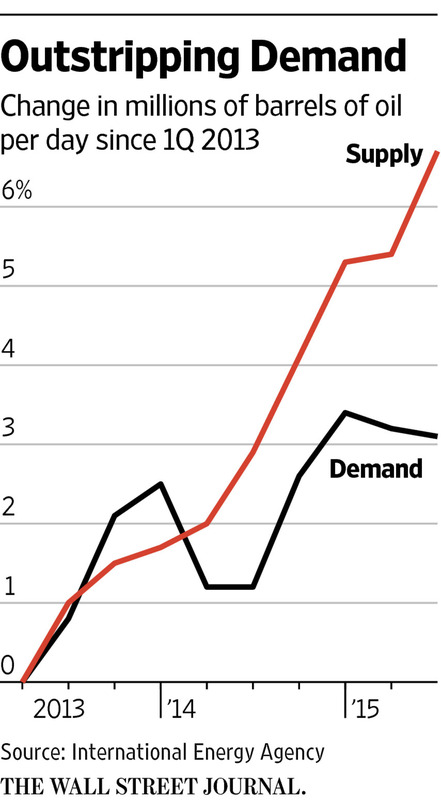 Instead, the extent of demand will have a greater influence on the supply/demand picture and thus rates. To that end, we note that while a small production reduction has been reported for Saudi Arabia, the extent is small and correlates to a seasonal trail?off of domestic demand. Moreover, stronger VLCC demand in West Africa should materialize and help to absorb some of the Middle East tonnage. While rates could remain soft in the interim, once the market progresses into the September program in earnest (which should occur in about a week’s time), rates should stabilize. The subsequent progression into the second and third decades of the September program should usher fresh rate upside as the surplus is slowly trimmed”, CR Weber concluded. Meanwhile, in the crude tanker market this week, in the VLCC segment, “Middle East Rates to the Far East fell 9.4 points, w/w, to an average of ws42.6. Corresponding TCEs were off by 23% to an average ~$39,605/day. Triangulated Westbound trades were assessed at an average of ~$60,896/day. Atlantic Basin Rates in the West Africa market followed the direction of the Middle East market; the WAFR-FEAST route lost 6.5 points to conclude with an average of ws52. Corresponding TCEs lost 14% to an average of ~$49,893/day. Although the Caribbean market was more active this week, with activity in nearby USG and Brazil areas also contributing, sentiment was negative on the back of the softer wider VLCC market. The CBS-SPORE route lost $200k to conclude at an assessed $6.0m lump sum. The route remains soft and further modest rate erosion could be recorded in the near-term”, said the shipbroker. On the Suezmax markets, CR Weber noted that “the West Africa Suezmax market was slower this week with the fixture tally declining 27% w/w to 16 fixtures. The lower demand, combined with easing rates for Suezmaxes trading in alternative areas (largely due to softer Aframax rates, which reduces Suezmax competitiveness as an alternative), led to a more disjointed regional supply/demand positioning and thus applied modest downside to rates. The WAFR-UKC and WAFR-USAC routes lost 5 points and 2.5 points, respectively, with both concluding at ws70. The forward demand picture for Suezmaxes, guided, in large part by the spread cargo distribution spread between VLCCs and Suezmaxes, remains somewhat uncertain at the moment. An earlier OSP hike by Saudi Arabia for Asian buyers had been expected to increase VLCC demand in the West Africa market by pushing some Asian purchases there. However, a modest pullback of the extent of the OSP hike relative to analyst expectations reduced some of the expectations, as did the fact that Asian refiners appear to be making fewer purchases overall due to high inventories of both crude and products, and a resulting accelerating of Asian refinery maintenance. 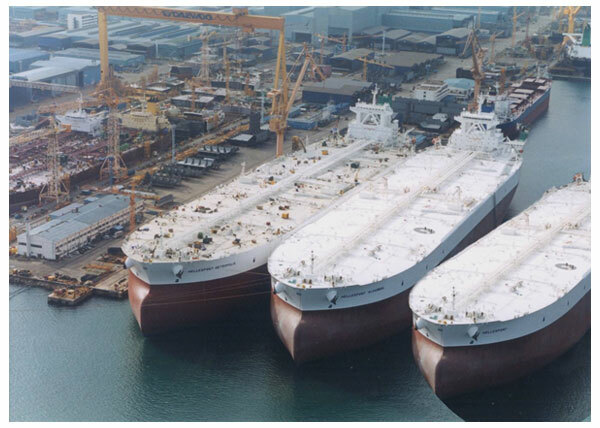 As VLCC charterers have moved past the first decade of September loadings, we note that the larger tankers were fixed for just seven cargoes, a reduction of one from the same period during the August program; this leaves more cargoes likely available for Suezmaxes. Further improving the potential for stronger Suezmax demand is that European refining margins remain generally strong and planning to move from past September maintenance should help to stoke purchases by European refiners which would be supportive of Suezmaxes. Additionally, a number of September cargoes remain available even as October offerings are expected to materialize next week; late purchases thereof would be more likely to support Suezmaxes than VLCCs”, CR Weber concluded. Copper has fallen below the closely watched level of $5,000 per ton. Gold futures gained Wednesday, with analysts saying the beaten-up metal is continuing to attract bargain hunters. But copper lost ground, building on a drop on Tuesday that took the industrial metal under the closely watched level of $5,000 per ton for the first time in six years. Gold for December delivery GCZ5, +0.53% rose $3.70, or 0.3%, to $1,120.60 an ounce, while September high-grade copper HGU5, -0.50% lost a penny, or 0.3%, to trade at $2.28 a pound. On the economic front, traders are watching for a July reading for the U.S. consumer price index that’s due at 8:30 a.m. Eastern Time. Economists polled by MarketWatch expect rises of 0.2% for both the headline and core figures. At 2 p.m. Eastern, the Federal Reserve will release minutes from the July meeting of the Federal Open Market Committee, the central bank’s policymaking body. Economists have said investors looking at the latest minutes for clear signals on the timing of an increase in interest rate are likely to be disappointed. As gold managed to lift up from its session lows on Tuesday, that “shows that lower prices generate buying interest and cause the selling pressure among speculators to abate,” said Commerzbank analysts in a note Wednesday. “Gold currently appears to be in a bottoming-out phase which could well continue for some weeks yet before any more sustained price recovery can be expected,” they added. The Commerzbank analysts also said they “expect prices to stabilize in the near future” for copper and other base metals, arguing that worries about China, the largest consumer of copper, “are exaggerated at present.” Government measures will shore up the Chinese economy in the near or medium term, and expanded infrastructure projects in China will “lend support to demand for copper and other base metals,” the analysts said. On Tuesday, gold settled 0.1% lower as copper slumped 1.5%, hitting the lowest price for a copper most-active contract since July 13, 2009. In other metals trading on Wednesday, September silver SIU5, +1.83% tacked on 8 cents, or 0.5%, to $14.87 an ounce. The new head of Nigeria’s state oil company has tapped the private sector as part of an overhaul of senior ranks intended to clean up the entity at the heart of the country’s economy. Emmanuel Kachikwu was appointed this month by President Muhammadu Buhari, who tasked the former ExxonMobil executive with rooting out corruption and mismanagement at the Nigerian National Petroleum Corporation. Repair of state entities, such as NNPC, must take place without so thoroughly purging them as to remove all institutional experience and upset the fragile political balance that underpins Africa’s most populous country and its vast bureaucracy. NNPC was at the heart of the industrial scale theft of Nigeria’s resources that took place with government complicity, and resulted in many billions of dollars in oil revenues failing to make their way into state coffers. President Buhari — who was elected on an anti-corruption ticket — and his inner circle, have made the institution’s root and branch reform a priority. Days after taking the helm, Mr Kachikwu dismissed NNPC’s top brass, appointed a leaner executive board and reduced the pool of senior managers (by a third to 88). Mr Kachikwu wanted to appoint more people with private sector backgrounds but “had to manage the corporate and country politics”, said a source in the Nigerian oil industry, who works for an international oil company. “Too many outsiders all of a sudden would not have been a good strategy,” he said, adding that the state-owned company “will almost certainly bring in more as time goes on”. NNPC has said that it aims to create a leaner and more efficient organisation and restructure the company from being a government-focused body towards “a profit-driven business”. The administration has to strike a delicate balance when appointing the critical managers who oversee and regulate the activities of Nigeria’s most lucrative industry. The oil and gas sector provides more than 70 per cent of government revenues. Rolake Akinkugbe, head of energy and natural resources at FBN Capital Limited, said the leadership had to be comprised of “those who are more technocratic and those who are more politically savvy”, who can negotiate and deal with bureaucratic obstacles. “It’s possible there could be further changes,” she said, but for now “maintaining people who understand political navigation” is essential. The challenge of installing the right mix of people has been evident this summer as Nigerians, foreign investors and governments await the announcement of Mr Buhari’s cabinet. He has said this will be in September, more than three months after he took office. The president has already rejected several recommendations for important government postings on the grounds that they were not of the right calibre and were too familiar with the previous president’s practices, one person familiar with the matter said. ● Emmanuel Kachikwu, group managing director — a Harvard-trained lawyer, he was previously executive vice-chairman and general counsel for US oil major ExxonMobil. ● Maikanti Baru, group executive director, exploration and production — an NNPC veteran who until several years ago was general manager of NAPIMS, the NNPC’s largest division, which manages the government’s investments in the upstream oil and gas sectors. ● Isiaka Abdulrazaq, group executive director, finance and services — another NNPC veteran with years of experience on the finance side of the company, not in oil or gas. ● Dennis Nnamdi Ajulu, group executive director, refining and technology — an engineer who has served in various roles within NNPC. ● Babatunde Victor Adeniran, group executive director, commercial and investment — holds a PhD in Geology from Justus Liebig University Giessen, in Germany, joined Total’s Nigeria subsidiary (then Elf Petroleum Limited, Nigeria) in 1992 and was most recently general manager for Total’s commercial operations. Markets- Will VLCCs continue to excite?